I am HOPING that the internets are as fond of bribery as I am, since I have a proposition for all you peeps out there. Currently, I am in about 27th place and voting ends Monday. Though I am not aware of any mirrorball trophies I could win as a result of being in the Top 25, I STILL WANT TO PLACE. So I am bribing people. IF I place in the Top 25, one lucky reader/voter will win TWO prizes. 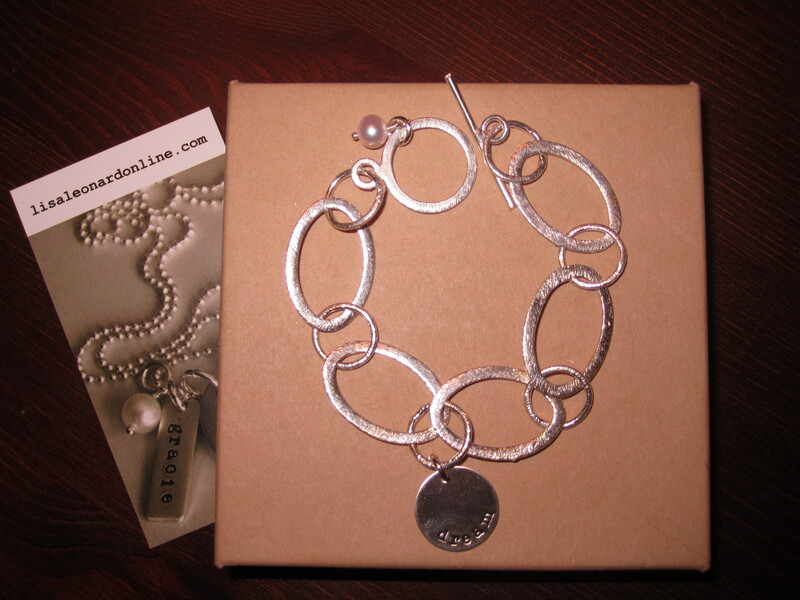 It’s a GORGEOUS sterling silver bracelet from Lisa Leonard signs. The charm says dream. Don’t we all need a little reminder of that every now and then? It also has a lovely little freshwater pearl dangling off of it. In honor of it being the Top 25, I am going to throw in a $25 Target gift card. How awesome is all that? AND it’s not ever super hard to take part. 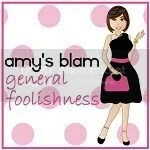 All you have to do is head here and scroll down to Amy’s Blam. You’ll see the square version of my header. Next to my description, there’s an orange circle beside a number. Click the circle-when your vote goes through it will turn gray. THAT’S IT. I would LOVE LOVE LOVE everyone more than 200 pounds of glitter if you would vote ONCE A DAY between now and March 28. Easy peasey, right? IF (when?) I place in the Top 25, I will do a random drawing for the winner. And who knows? I might add something else between now and then. Thank you all so much! I so appreciate all of you that read and comment and email. ← Dancing with the Stars contestants: quit stealing my songs. I don’t necessarily need a bribe to help out a good person & a good cause. But that bracelet has got to be the most wonderful thing I’ve seen from LL yet! I’ve voted. (I’ll do the other thingy later.) I bet you break into the top 10 with a carrot like that. Congrats on the honor & all that. Woohoo! I love being bribed! Just voted! I love to be bribed!!! I voted and I really do think you are funny; enjoy your blog so much! lol Love your title – you crack me up! Love the blog, too. You have one vote from me, Missy! 🙂 I’ll do it again tomorrow. I voted and I vote every day. I am sending you to the fam again just to make sure they’re doing it right! Do I have to excuse myself from winning? I suppose that is only fair cause I’ll vote for you anyway…? Voted for you. I am a huge fan of your blogs. You deserve it. I voted! LOVE the bracelet and who doesn’t love Target?? Thanks Amy! I voted! Looks like you’re right at 25 now! I voted!!! Sorry, I am easily bribed by shiny things! Saw you on Top Mommy Blogs! Just voted! About to tweet 🙂 Good luck!! Voted again girl! You deserve it! I have voted 5 times so far! Go Amy go! I voted today and posted it on FB. Love ya, good luck! Ooooh, sparkly pretty things!! I just clicked and voted for you–good luck, Amy! I love your blog!! No bribery needed! Ugh! So sorry I missed this. Remember, ‘it’s just an honor to be nominated.’ Proud of you. Keep up the good work! !